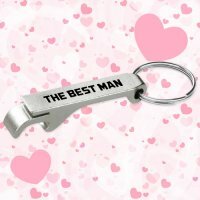 Personalized wedding favor aluminum bottle/can opener keychain -blue makes a royal wedding favor gift because it is simple and purposeful. This aluminum bottle opener keychain is not unusual, but they are indeed useful. 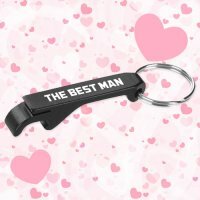 It is likely to be carried around for managing keys and as a bottle opener, which means every time this multipurpose keychain is used people would notice your initials. These wedding favor keychains make excellent pre and post wedding gifts and they are well suited for gifting during theme weddings, too. Request a quote to know discounts that you can avail on bulk ordering these custom wedding favors aluminum bottle/can opener-blue. Features – blue aluminum body and a sturdy metal split key ring.